River Forest United Methodist Church | We are a community of followers of Jesus Christ sharing our faith and hope, serving all people and building a loving connection with God. Especial music and inspiring message by Osvaldo Vena & the “Still a Dream” Band. They are a musical ensemble dedicated to peace making through music. The 7 Stations of the last 7 Words of Jesus Christ. Friday April 19 3:00 p.m.
Once again, we will stage this spiritually representation of Faith, based on the Scriptures of the last moments and last words of Jesus before dying on the Cross. Join us on this emotionally stirring experience! Come to our worship service, you’ll experience a blended program with different styles of music and an inspiring and transformative good news message! 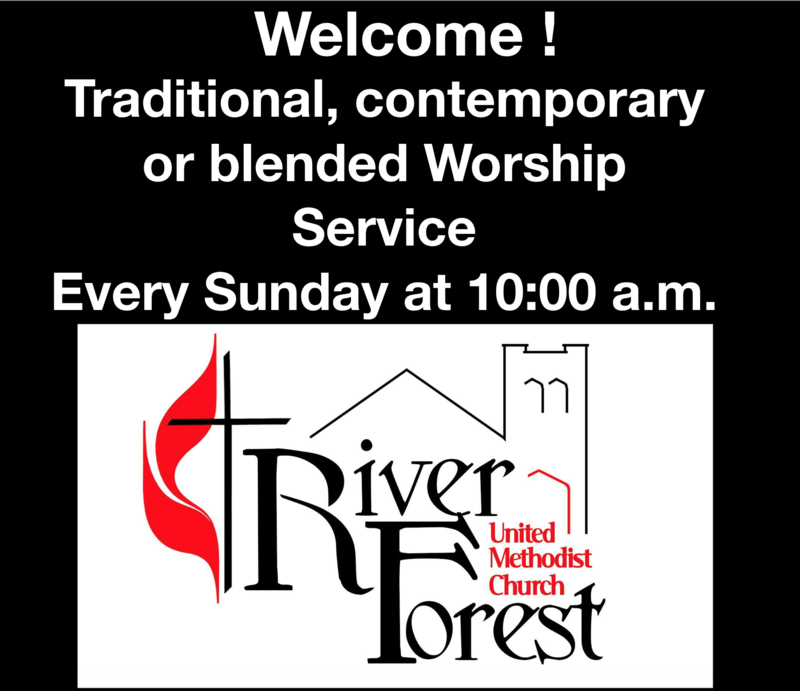 Worship Service every Sunday at 10:00 A.M.
4:00 p.m. and 7 p.m.